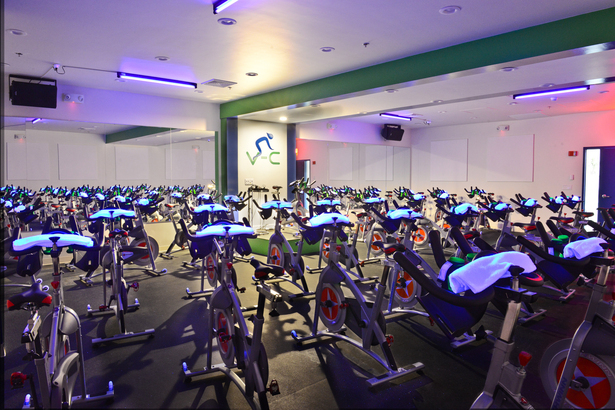 For anyone who dreads a spinning leaderboard or a teach-to-the-numbers class Vélo-City has got you covered. Free of monitors and digital displays, the down-to-earth boutique studio has high-energy, music-driven classes that prove you can get an incredible workout without knowing your exact RPMs or torque. Each 45-minute class provides a high intensity cardio workout, along with on-bike choreography that tones your arm and core muscles. The studio is both intimidation-free and judgment-free, and aims to make everyone from first-time cyclists to pedal pros feel comfortable and leave the class with a smile. Why We Love It: This down to earth studio fosters a friendly vibe, instead bike-to-bike competition. Health is the focus, but not at the expense of fun: Instructors will kick your butts on the bikes, but are also likely to advocate for a post-workout beer. Why It's So Effective: High intensity workouts don’t need to mean high stress on your body! Indoor cycling allows you to burn mega-calories without damaging impact to your joints. 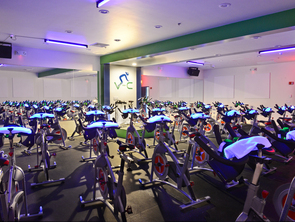 Vélo-City makes sure the whole body gets into the mix, targeting biceps and triceps with on-bike arm workouts, and core muscles with stabilizing choreography. Know Before You Go: You’re not lost! The Vélo-City entrance is in Public Alley 442 off of Fairfield Street between Boylston Street and Newbury Street. 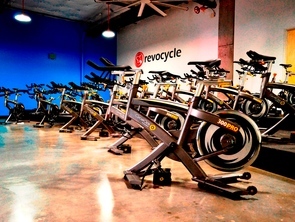 If you are running late, give the studio a call, as waitlisted bikes will be released five minutes into each class. Don't Miss: Don’t miss the theme rides! Current classes include Calvin Harris Vs. Chris Brown, Beyoncé vs. Destiny’s Child, Top 40 Remixed, EDM vs. Hip Hop, Rihanna Jay Z & Kanye, I Love the 90s and Pitch Perfect vs. Pitch Perfect 2. Check the schedule for updated music! Added Bonus: The studio provides free shoes, towels and water. Ready to give Velo-City a spin? Reserve a bike today!